Well today apart from fighting a dreadful cold and cough that will not go away I am going to be doing some hand embroidery. Firstly I am going to show you some of the bits I picked up at the show last Friday. I wandered about looking for vintage goodies, some stall holders make from vintage fabrics as I do and when a project is finished they sometimes sell little packs of bits and bobs and also some good size pieces of vintage fabrics too. So I have the ribbon ear marked for Wedding and Baby samplers of the future, it is in great condition and was made all those years ago in Switzerland. As you can see some adorable bits and bobs to adorn some samplers and other ideas. So I will be giving this ago and think I may do a table cloth for Christmas ?? Then it's the goody bag made from fabric and there was all sorts inside including some green and blacks chocolate, a magazine, body lotion, a jar of piccalilli made by the truckle company, a show guide which is normally £3, hand lotion, Eco liquid, 3 meters of Jane Mears ribbon and lots more! I left the show to meet my Husband and we wandered slowly along the Thames back to Waterloo station. 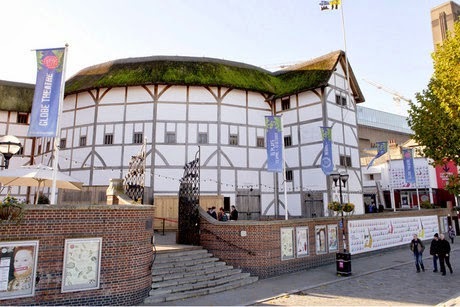 Along the way we saw the Globe Theatre, which is amazing and almost breath taking. 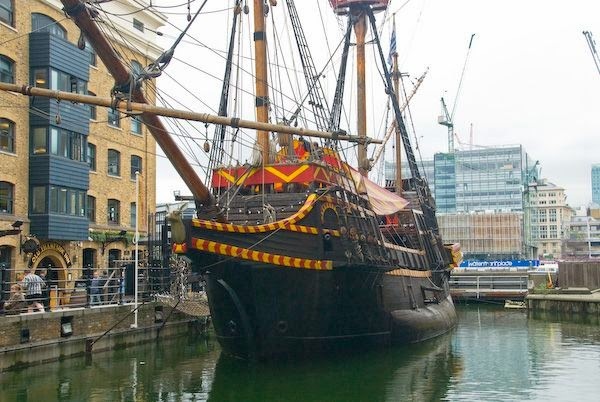 We also saw the Golden Hinde galleon which was Sir Francis Drakes ship. 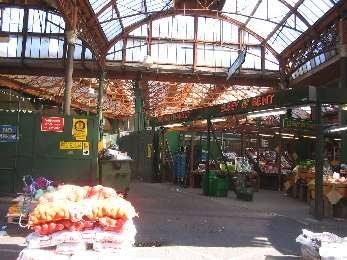 We continued along the river and went to borough market where they had the most amazing selection of tomatoes that you can imagine, all on the vine and the smell was wonderful, well a few bundles of all colours had to come home with us as we both enjoy a tom salad. We also bought some olives that are the size of 6 normal olives put together!! we bought a few more bits and then set off to Waterloo, where we had our evening meal before we set off back to Bournemouth. All in all it was such an amazing day!